The Big E located in West Springfield, Ma is the only 6 state fair in America! Step inside each state building to sample and buy local products and find out what makes each state unique! Stop by the Agriculture and Livestock buildings or catch a live concert performance! Take a ride on the Ferris wheel or the scrambler! Try some deep fried Oreos and wash it down with a cold local brewed beer! 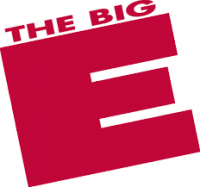 Whether you are looking for some live entertainment, rides and games or the FOOD, the Big E is sure to have something for everyone. Plus with Foxy doing the driving you are all set to sit back, relax and have a fantastic day!